The library is my friend, but sometimes I want to read something else – something already in the house. So I did. With library books waiting, I went ahead and read The Curve of Time by M. Wylie Blanchet (see last New Arrivals post for the gorgeous cover). I really enjoyed this collection of short pieces by a mom and her five children spending summers exploring the inner British Columbia coastline (Strait of Georgia, Queen Charlotte Sound and Hecate Strait – check a map). Written in 1931, these are a window into the past. I finished The Island of Dr. Libris by Chris Grabenstein, a YA novel about a twelve-year-old boy, aimed at readers of his age. 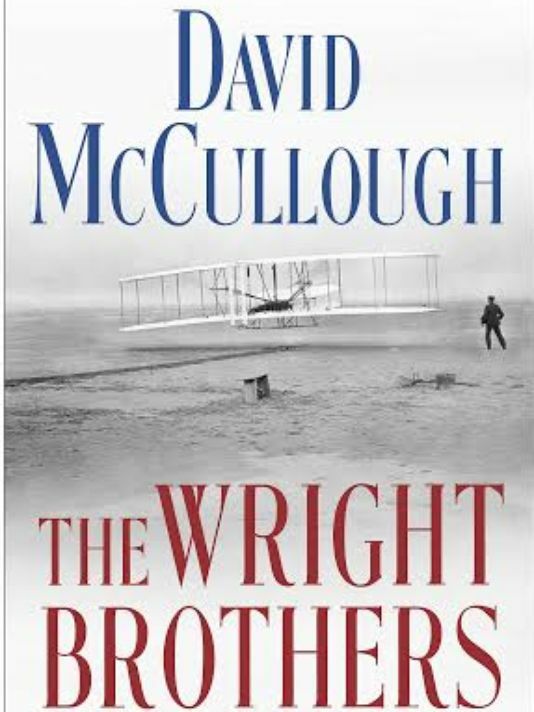 Now I’m 50 pages or so into The Wright Brothers by David McCullough, his latest book. I’ve read and loved everything by McCullough I’ve read. Barbara finished Faceless Killers by Henning Mankell, and is looking forward to the next in the series. First, however, the library has disgorged The Devil’s Star, another book by a favorite author of hers, Jo Nesbo, which just came from the library. I’ve read a couple of Grabenstein’s adult mysteries and have two more on the Kindle. How was the YA book? Here library books are coming in and going out. Some are read, Some go back do to lack of time or excessive (500+ pages) length. Some either don’t hold my attention once I’ve started them while others are just not what I feel like reading at the moment I pick them up. And yet books keep coming in, and going back. New arrivals. From the library’s monthly sale (50 cents each, 3 for $1) I picked up LETHAL INTERFACE by Mel Odom and half a dozen books for Jackie. I bought (for a penny, plus $3.99 shipping) RAZORED SADDLES: Macabre Western Tales, edited by Joe R. Lansdale and Pat LoBrutto. And from PaperbackSwap I got Andre Norton’s PLAGUE SHIP and POSTMARKED THE STARS and Peter Turnbull’s (hardback) FALSE KNIGHT. New library books that came in include Anne Hillerman’s second book in her father’s series, the latest Kate Atkinson and Steven F. Havill books, and an excellent first novel by Eddie Joyce. This week’s reading to follow. As I said, the Grabenstein book is aimed at a 10-12 year old reader, and seemed too simplistic to me, but kids of the intended age might like it. Pretty thin on both character and plot. I have trouble sending a library book back with giving it the “fair chance” of 30-40 pages, but if it’s just not at all what I’m in the mood for, yes, back it goes. I’m still only 2/3 through Old Mars, though I went right through Old Venus. Why? Don’t know. How are the Hillerman books? I loved his early and mid books but thought they got weaker as the series went on, especially the last two or three. So I have stayed away from the continuation books. Books read last week: QUARRY’S CHOICE, the latest (Hard Case Crime) from Max Allan Collins, is set in 1972 Biloxi. It isn’t the usual Quarry but it works. Next was TAR HEEL DEAD, edited by Sarah Shaber, a collection of mystery stories by North Carolina authors, some born there, some moved there. As usual in these anthologies the quality varied but it was worth reading. BETWEEN YOU & ME: Confessions of a Comma Queen by Mary Norris has been getting a lot of attention. She talks about her work at The New Yorker and about grammar in generally entertaining and easy to understand ways. The first novel mentioned above was one I’d read a very good review of, put on the library wait list, got quickly and read just as quickly, Eddie Joyce’s SMALL MERCIES. Unlike so many “modern” novels that are about nothing, this beautifully written novel is about an Irish-Italian family on Staten Island and the fallout from the death of their youngest son on 9/11. All these were library books, by the way. I also read a couple of short, free, ebooks by Stephen Leather, SHORT FUSES and MORE SHORT FUSES. These are more hardboiled crime stories for the most part. The first story in the first book was my favorite. Up next? Probably Kate Atkinson’s A GOD IN RUINS. Or Anne Hillerman’s ROCK WITH WINGS. And then there is Steven F. Havill’s BLOOD SWEEP and the interesting DEPTH by Lev AC Rosen, which is about a private eye operating in New York after the polar ice caps have melted and most of the East Coast is under water. I’m still pecking away at BETWEEN YOU AND ME, it’s one (ebook) I pick up and read a little of now and then, never intending to read it straight through. SMALL MERCIES sounds interesting, I’ll probably try it. Because I so like putting books that I finish up on my shelves, I seldom read anything from the library other than reference works. Charles, I understand, but if I get a book from the library, I save money, especially if, upon reading the book, I’m disappointed. Hillerman’s daughter did a pretty good job with the first book, I thought. She was smart to concentrate on Jim Chee and his wife Bernie, with Leaphorn off stage most of the time. I think it’s Leaphorn who is the most interesting character in Tony’s books, Chee less so and his various romances and tangles with the FBI though Leaphorn had his share of FBI knocks too. I’m correcting FINAL EXAMS this week. But Freedom beckons! I should be reading Big Fat Books next week! George, perhaps you’ll have time soon for this new McCullough. It’s 262 pages, plus notes, sources, index and acknowledgements. I like Leaphorn too. I just meant that there was more chance of her making a mark of her own by concentrating on a different relationship. Sometimes a well-written history is just what you need. and so far, that’s just what it is, Patti. Glad you’re in and connected, or as much as C-cast can manage. Hope it all gets smoothed out SOON.